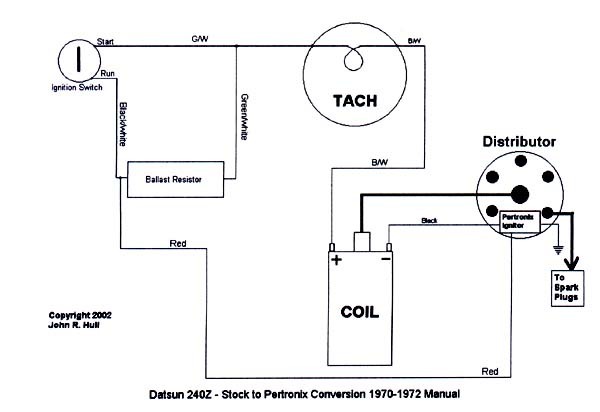 I drew these wiring diagrams up after hearing many problems with Tachs etc. after folks made conversions. 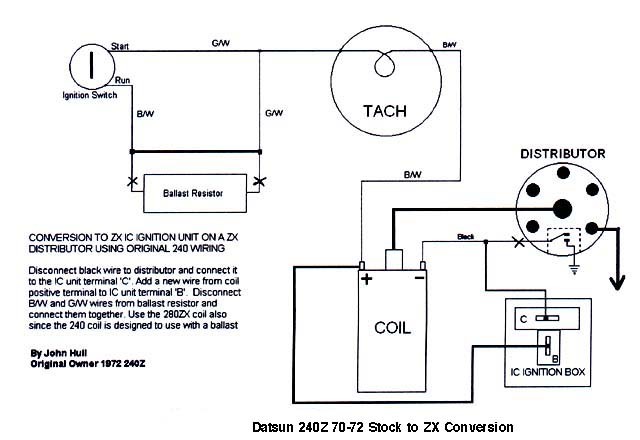 The truth is that 'yes' you can easily use the 240 tach with either the Pertronix or the ZX ignition conversion. 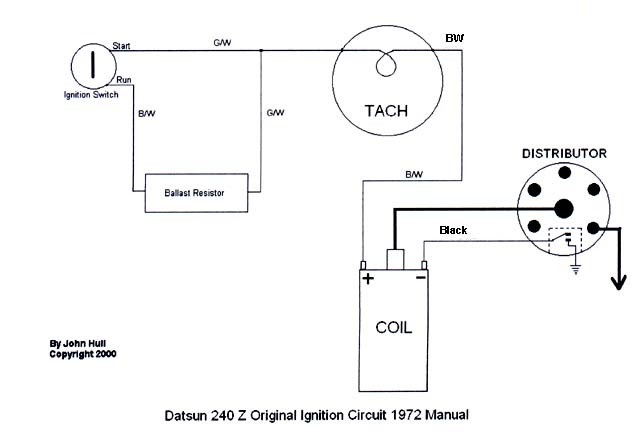 I have sent these files to other Z enthusiasts and they have ALL been successful in converting and having their tachs function properly. 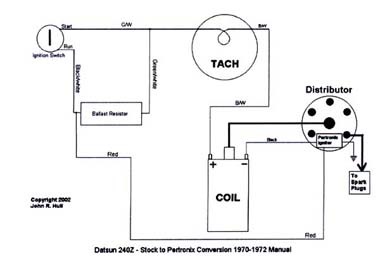 I have attached the diagrams to this email. 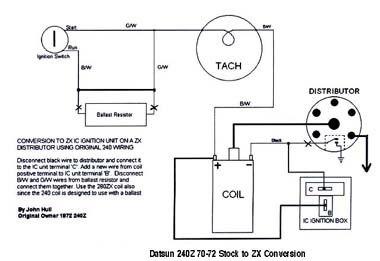 Please feel free to republish them on the Z Car Home Page to share with any Z owners who are interested. Click on images below to view full size. 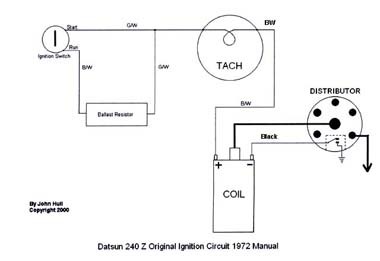 Below: OEM Wiring 70-72 240-Z Ignition.